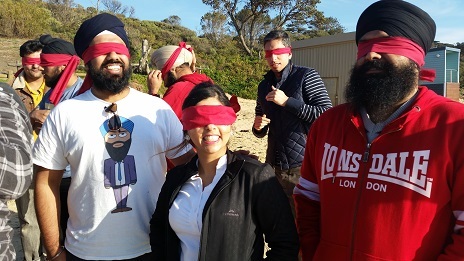 On the 12th-14th September weekend, 40 young adults attended Melbourne’s 3rd Annual Leadership Development Weekend held at Camp Manyung in Mt Eliza, Victoria; a beautiful beach side recreational camp retreat site with an abundance of facilities. The program, entitled “Authentic Personal Leadership” was facilitated by the renowned Dr. Sarjit Sidhu, the Managing Director/ Principal Consultant of Quantum Achievers Academy (Malaysia). He is a dynamic and interactive trainer & speaker, having conducted courses all over Asia in the corporate sphere. 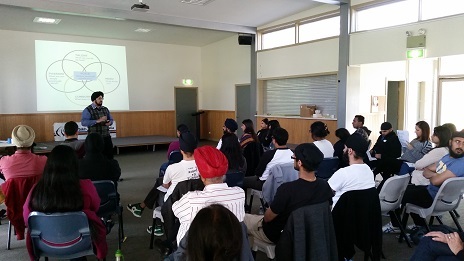 The Authentic Personal Leadership Program run by Dr. Sarjit drew on the latest research in positive psychology and is based on the Five Practices of Exemplary Leadership, which were also integrated with the 5 Precepts of Sikhi – Kirat Karni, Naam Japna, Vand Kay Shakna, Sewa & Simran. SYA would like to sincerely thank all the sewadars, facilitators, participants and supporters who made this year’s Melbourne Leadership Development Program possible. 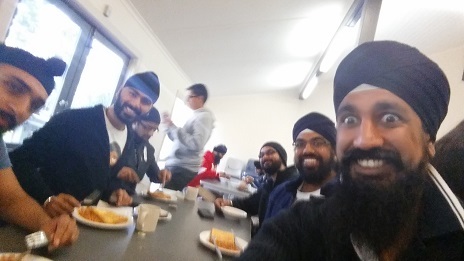 With Waheguru’s Grace we hope this sewa continues to empower and uplift future generations of proud Sikh youth in Australia.